A German court ruled a key patent on GlaxoSmithKline Plc’s lung drug Advair is not valid, dealing a blow to the top-selling lung drug in Europe’s biggest market. Glaxo said on Thursday it would consider an appeal to a higher court, adding there were still obstacles to generic companies launching cheaper copies of the inhaled medicine. The court ruling followed a hearing in February and represented a victory for four generic drugmakers – Mylan; Neolab; Hexal, which is part of Novartis’s Sandoz; and Ivax, a unit of Teva. It is also good news for British inhaled drug specialist Vectura, which is developing a product called VR315 with Sandoz in Europe that analysts believe to be a generic version of Advair. Glaxo’s patent covering the combination of two active ingredients used in the medicine had been due to expire in September 2013. Advair, which made up 18 percent of Glaxo group sales last year, is vital to the drugmaker’s growth in the next few years. But its future has been clouded by the threat of generic competition. Advair’s worldwide sales last year were £5bn ($7.2bn), with Germany accounting for £177m of this total. Global sales are expected to peak next year at around $8bn, according to consensus forecasts. While much attention has been focused on Advair risks in the US, industry analysts say the threat in Europe is more immediate. A generic version of Advair – also known as Seretide and as Viani in Germany – is already sold in Greece by local firm Elpen and patents have been overturned in Britain and Ireland, although generic copies have yet to go on sale in these markets. Paul Diggle, an industry analyst at Ambrian Partners, said he expected generic companies to launch copies of Advair in Germany later this year, despite the technical challenges involved in making the inhaled medicine. Because Glaxo still has patents covering its Diskus inhalation device that are valid until 2011, generic companies will have to launch using an alternative inhaler device. “It’s not going to be a classic generic collapse,” Diggle said, referring to the situation with traditional tablet drugs where generics can erode 90 percent of sales in a few months. Mark Clark, a pharmaceuticals analyst at Deutsche Bank, said the immediate generic threat to Glaxo’s Advair franchise in Europe was “slight”. He added the risk was offset by the fact that US generics now appeared unlikely, given the absence of regulatory guidelines and the recent decision by Sandoz to withdraw from development of Vectura’s would-be generic in the US. Glaxo noted in a statement that the Munich court’s decision related solely to Germany and was not binding in any other jurisdiction. 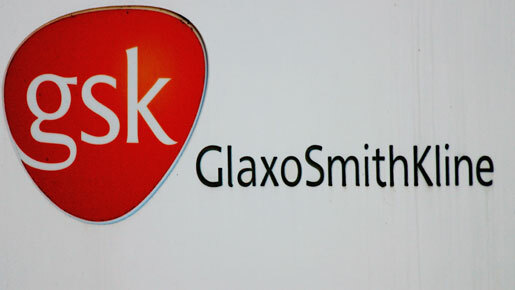 Still, analysts said the trend in European patent decisions was now clearly running against Glaxo, following defeats in Germany, Britain and Ireland. The next case to assess the patents protecting Advair will be heard in the Netherlands in November.